Kathleen Marden is a leading UFO researcher, the author of several books, a featured on-camera expert, and an international lecturer. She earned a BA degree in social work and worked as an educator and education services coordinator while attending graduate school. 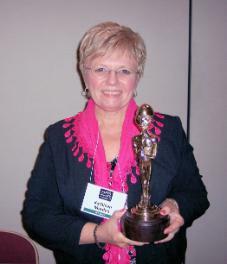 She is a practitioner of regression and QHHT hypnosis. Her interest in UFOs and contact began in 1961, when her aunt and uncle Betty and Barney Hill, had a close encounter and subsequent abduction in New Hampshire’s White Mountains. She has been MUFON’s Director of Experiencer Research since 2011 and is on the board of directors of the Edgar Mitchell Foundation for Research into Extraterrestrial Encounters (FREE). She makes it clear that the opinions expressed by her are her own and do not necessarily reflect the opinions of the organizations of which she is affiliated. Three of Kathleen's books were co-written with with nuclear physicist/ scientific ufologist Stanton Friedman, Captured! The Betty and Barney Hill UFO Experience, Science was Wrong, and Fact, Fiction and Flying Saucers. A fourth book The Alien Abduction Files features Denise Stoner. Her new book The Experiencer's Handbook will be released in 2019. Read her chapter on communication with NHI in Beyond UFOs: The Science of Consciousness and Contact with Non-Human Intelligence"
In 2012, she spearheaded an extensive research project, with Denise Stoner, to identify little known commonalities among experiencers. More recently, she has completed her work on MUFON's Experiencer Research Project, a comprehensive study on Experiencers, with Dr. Don C. Donderi. Her articles have been published in the MUFON UFO Journal, Open Minds, Alternate Perceptions and FATE magazines and on several websites. You can purchase her books or read her articles at www.kathleen-marden.com. 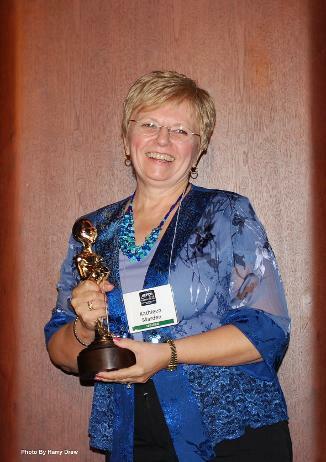 Kathleen was the recipient of the Mutual UFO Network's "Excellence in Ufology" award in 2012.